The offshore drilling debate extends into the presidential race. 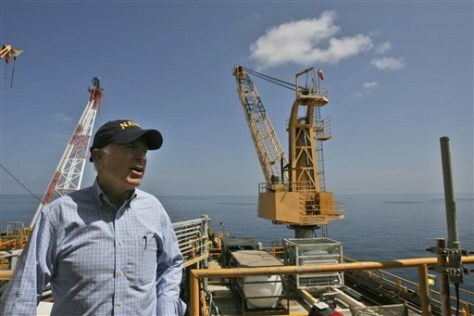 John McCain, seen here Aug. 19 aboard an existing platform in the Gulf of Mexico, wants more leeway in drilling off coastal waters. Barack Obama is OK with some expanded offshore drilling, but wants it tied to investments in renewable energy.